I was at Starbucks today and I looked by the door and saw the new Numero Magazine. How exciting to open up to page 28 and read the article about ME!!!! 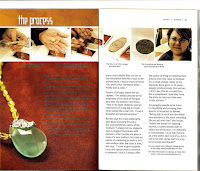 Katherine Hopkins asked me a few months ago if I would be willing to do an interview for Numero. An interview and a photo shoot later and it's IN!!!!! If you get a chance - pick it up. 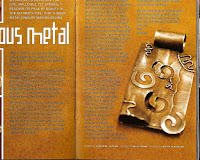 This issue focuses on Metal!!!! Let me know what you think!!!! !